As you probably already know, the Best Picture fiasco at the Oscars Sunday was not some elaborate Jimmy Kimmel prank, but he would still like to reiterate that for you. 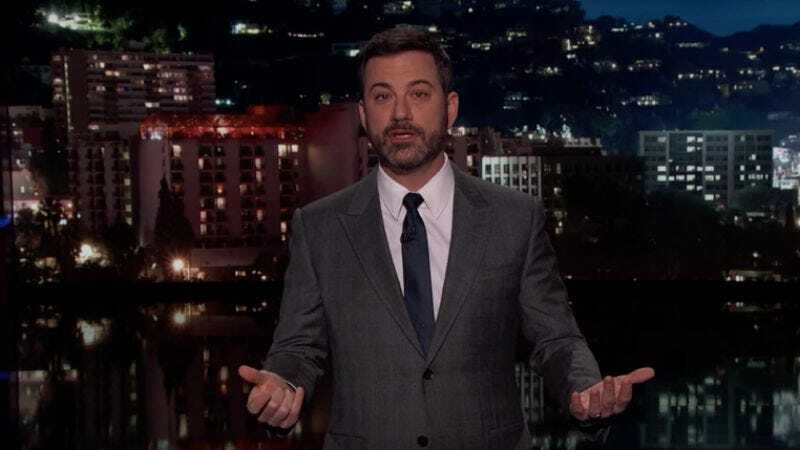 On his show last night, Kimmel described how the screw-up went from his perspective. He had taken a seat in the audience for one final Matt Damon gag, but when it became evident that something had gone wrong, Kimmel realized he actually had to do some hosting and got onstage amid the pure commotion as Moonlight was announced the true winner. “I’m standing there, like an idiot, feeling bad for these guys but also trying really hard not to laugh to be honest,” he said. That’s when he saw Denzel Washington trying to get his attention. Washington wanted Moonlight director Barry Jenkins—standing behind Kimmel at that point—to give a speech. “Thank god Denzel was there to make sense,” he said. Of course, now we know that the true culprit was probably a distracted accountant who was tweeting during the ceremony. By the way, Kimmel said if he had pulled a prank, the envelope would have contained a Bed Bath & Beyond coupon.